Please see link to Arabic lectures of the above Scholars click here. It is advised to say the above du'a when laying down prior sleep – an odd number of times and gradually increase - without moving the tongue but saying it from one's heart. 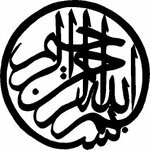 How Can we Tell Co-Workers about Rasulullah ﷺ ?